Start by riding the balloon ride (SKYRIDE) just inside the front gate. It gives you a great view of the layout of the park. Save the rides or petting zoo until the end, otherwise you’ll never get your kids out of the water. The kiddy area is adorable! You really can bring small children. Guests should consider a locker for their valuables (especially cell phones/cameras). The water safes that are sold in the gift shops work really great for a lot of people who splash around in the Wave Pool/Lazy River etc., but if you really want to enjoy all the water slides, a locker rental is the safest bet for those expensive items. Don’t miss the free circus show! My kids loved it! 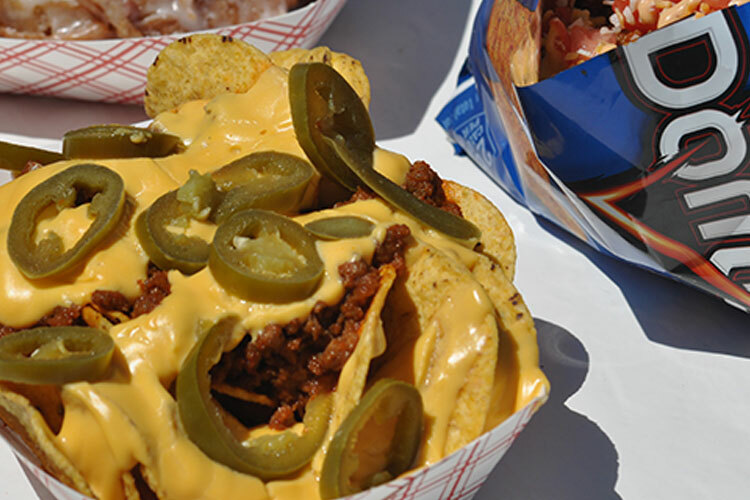 You can bring coolers & food into the park – just no glass containers! Waterproof plastic holder for cash & other small valuables. Don’t wear your sunglasses on the slides! Even if it’s raining, stay in the park. It’s still a BLAST and 9 out of 10 times the rain passes. There are lawn chairs by the top deck of the wave pool. Go in June. The lines aren’t as long, but it’s well worth the wait anytime of the season. Consider renting a tube for the day-it’s just $6. By doing this, you can bypass the line at the bottom of the ride to get a tube and head directly to the top. What’s even better, there’s a $1 refund for returning your tube! Avoid lines at the end of the night by purchasing Paul Bunyan Cards in the morning or early afternoon. Buy your tickets online or at a local establishment that sells them so you can save money & go through the faster admission line! Paul Bunyan Club Card – On your first visit to the park, purchase a Paul Bunyan club membership for a small fee. Membership entitles you to return for half price admission as many times as you like for the remainder of the season. Take advantage of the Siesta Savings, enter the park after 3pm (2pm days the park is open from 10-4) and get the next day free. It’s a great way to enjoy the park for some extra time, especially when staying overnight! Don’t forget the candy shop – it’s epic! Buy your soft ice cream cone early in the day, because everyone else waits until right before they leave! When attending a catered event, go to the pavilions early to get your wristband to avoid long lines at serving time. We do sell sunscreen in most of our gift shops and at two sunscreen stations. We also sell bathing suits, hats, sunglasses, and t-shirts to protect you and your family from the sun. Helpful hint: wear sunscreen all day and reapply often (even if you’re not in the water). Yes we do! ATMs are located in the front of the park at the Paul Bunyan Gift Shop, and also in the back of the park in the Woodcenter Gift Shop. Yes, you may purchase tickets for a discounted price online! Click Here! No, we do not accept personal checks. We accept cash, traveler’s checks, Splash Cash and credit cards. We accept Mastercard, Discover, and Visa. We do not accept American Express. 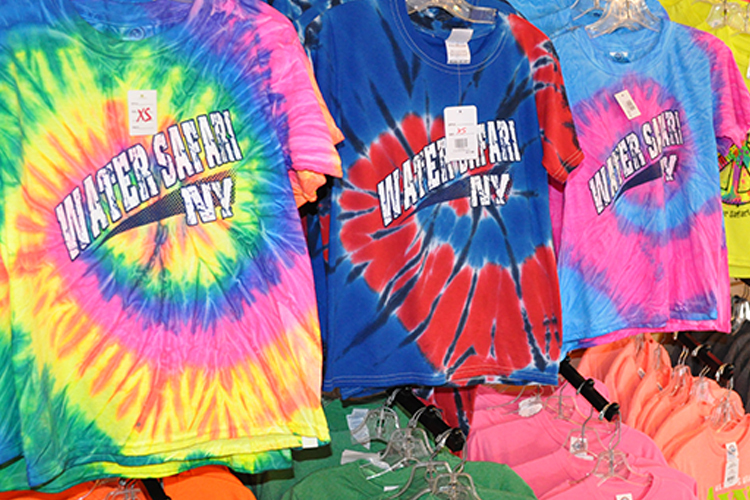 What kind of shops do you have at Enchanted Forest Water Safari? Click here for a complete list of all of our shops. When is the best time to purchase a Season Pass? You can purchase season passes online or over the phone with a credit card. No, Season Passes are non-transferable. Your Season Pass card will have your photo on it for identification. What are the height requirements on the rides? For a complete list of height requirements click Here. All of our rides and attractions remain open in the rain, and our water is heated! If there is lightning, the rides will temporarily close for safety, just until the lightning passes, and then the rides will reopen. Sorry, no refunds or rain checks. Pets are not permitted in any of the water areas, but are permitted in the rest of the park provided they are on a leash and never left unattended. Please pick up after your pets. Helpful hint: Leave your pet at home and never leave him or her in the car, or call Feathers and Boughs at (315) 369-2323 to arrange a special day of fun for your furry family member at a caring facility. Can I exit the park during the day and get back in? Yes, you would have your hand stamped when you exit and re-enter through admissions. Do you offer personal paging? Sorry we do not offer personal paging. Can my child go in the pools if he/she wears a diaper? Swim diapers are required of all children who normally wear a diaper. Regular diapers are not permitted on any of our water rides or in any of our pools. Why your bathing suit, of course! Be sure to have some shoes too, as you will need them to ride some of the amusement rides and for comfort when walking through different areas of the park. Due to the nature of some of our attractions, jewelry, eyeglasses, and water shoes are not allowed on the water rides. For your safety, the safety of others and for the care of our slides, all bathing suits must be free of zippers, rivets, buttons, or other hard objects. Any jean shorts or other clothing with rivets or metal objects are not allowed on any of the water rides. Remember, this is a family park, please no thongs or inappropriate swimwear. Enchanted Forest Water Safari is committed to the safety of our guests. Weapons, running, profanity, unruly behaviors, skateboards, Heelies, and soliciation are not permitted in the park. Radios/ Stereos are also prohibited. Glass containers are not permitted anywhere in the park. Do you have rides especially for kids? Yes, kids rule at Enchanted Forest Water Safari! There are several pint-sized attractions for the little ones. Do you have baby changing stations in your restrooms? Diaper changing facilities are located in all of our restroom facilities. Can kids ride with their parents on the rides? There are certain rides that kids can ride with parents and certain rides where parents can ride with kids! Kids may ride with their parents on Safari River Expedition, Log Jammer, Amazon, Sky Ride, Tilt-A-Whirl, Ferris Wheel, Scrambler, Rock-O-Planes, Round-Up, or swim in the Tidal Wave Pool. Adults may ride with kids on the slides at the Sawmill, on the Helicopters, and the Flivver Cars. Parents may not ride with kids on the kid slides at Pygmy Pond and Tadpole Hole. What kind of entertainment do you have? We have two circus shows daily at 12:00 pm and 4:00 pm (11am and 2pm when we’re open 10am-4pm). Click Here to see who is performing this season! Rocky & the Ramblin’ Rascals also perform continuously throughout the day in Klondike Kate’s. During inclement weather, some shows may be canceled for the safety and comfort of the performers and guests. Can I bring a group to Enchanted Forest Water Safari?